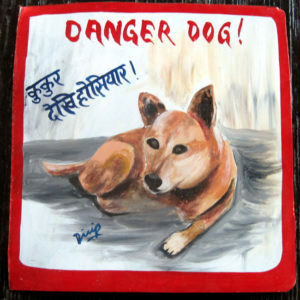 Hutch the Jindo is hand painted on metal by Megh Raj Thapa. This portrait has an interesting use of space, and Hutch’s big smile and pink tongue are featured along with his collar and whiskers. This is a beauty. 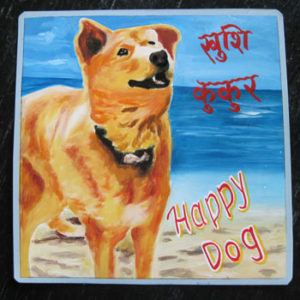 Jenny the Jindo enjoys her day at the beach in this portrait by Sagar. The photo was on a hard wood floor, so Sagar must have wanted Jenny to be happy (and Lucky). 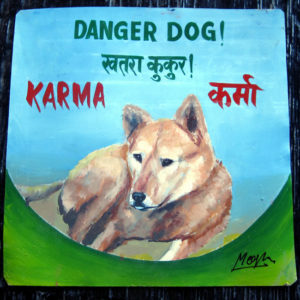 Karma the Jindo Dog by Dilip Niroj. 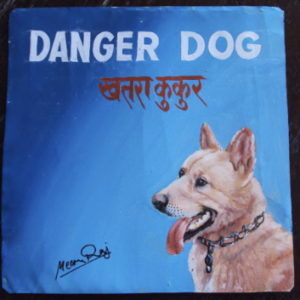 Jindos are a Korean breed of dog. 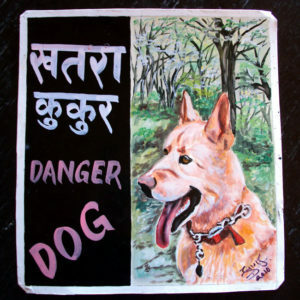 The artist Sagar gives Hutch the Jindo an almost apocalyptic background in this stunner. This beautiful Jindo, Stella, is hot off the presses. 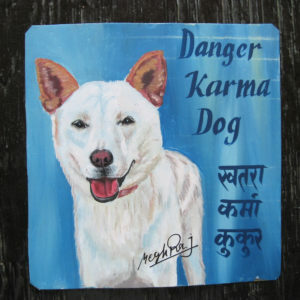 By Megh Raj, she would make a great addition to any gate.